Find your zen in one of the most gorgeous landscapes in North America. Settle in one spot and find your center. 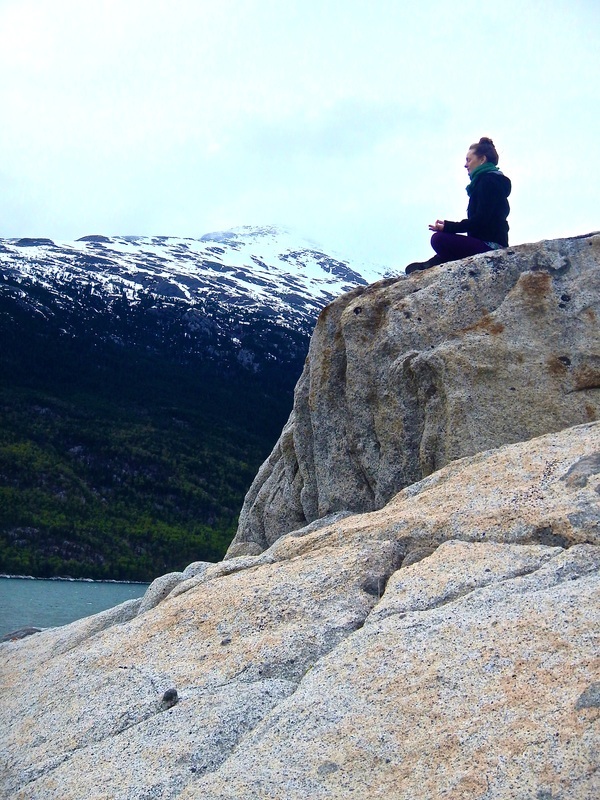 BE here for a short while and savor the energy around you and within with Skagway's only Meditation tour. You came so far, why not BE here for a little while? This tour is offered in a luxurious Limo Van so no matter what the weather is like, you can find your zen in comfort and free from pesky bugs if the wind stops. Typical limo van rate is $200/hr so this tour offering gives you more zen for your buck. TOURS BEGIN AT 2:30. Possible alternative departure times may be available upon request. 3 HOUR SUMMIT TOUR MEDITATION OPTION $400. 4 HOUR YUKON SUSPENSION BRIDGE OPTION $500. This option would take you approx 10 miles beyond the summit and as far as the Yukon Suspension Bridge. The Yukon Suspension Bridge does have a cafe, gift shop and dining hall with bar for those who don't want to spend all their time in zen... admission fees to cross the bridge would be additional to this price. Meditation would be nearby and time at the bridge determined by duration of meditation and other unknown logistical factors. Tours pick up and drop off at the pier or in town as requested. Free trail maps of the area will be provided for personal exploration after your tour. Your guide will know all the good quiet trails for you to continue your journey away from the hustle and bustle of downtown Skagway on a 4 ship day. Tour is 3-3.5 hours. Van holds 6 passengers. Vehicle rate plus instructor is $400. 7-8 am departure depending on daily schedule. Admission to the Skagway Rec center is also included.